The Metuchen High School librarian, Patricia Glave, has taken over the 'Wall of Honor' project from a recently retired teacher. The idea is to have any alumni who have served or is serving in the military submit an 8 x 10 standard military portrait which will be placed in a frame with an engraved name plate and dates of military service. The photos will be hung on the walls of the library. There are several there now. The contact information for those who are interested or have questions: Patricia Glava-Librarian: Pglave@metboe.k12.nj.us Also let me know so I can put something on the website in regards to their service. DVD of 2015 Class Reunion It's Great! 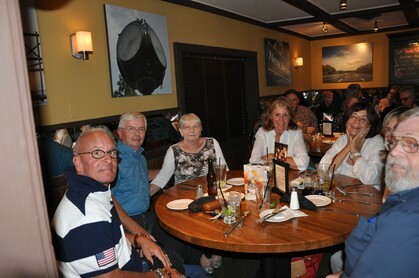 Ken Kiesser had taken movie pictures of the 2015 Class Reunion. He was nice enough to send me the master copy. Are you interested in ordering a copy.? The DVD would be $20.00 and I'd mail it to you. It's a DVD and can be played on your computer or your TV. Please email me at conniehope@comcast.net if you are interested or send $20 to Connie Hope, 14517 Eagle Ridge Drive, Fort Myers, FL 33912 I hope everyone is well. Please stay well as we will have another reunion party in 2020. 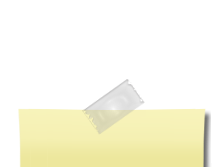 That's not far away! Did everyone one enjoy the last reunion? Should the next reunion be the same format? Connie has a new cookbook published. Soups and Stews...Comfort by the Spoonful Let me know if you might be interested in purchasing a copy for $20. I have copies in my garage. Terry Herman Hauptman has written a poetry book entitled 'On Hearing Thunder" with beautiful color plates of her paintings. 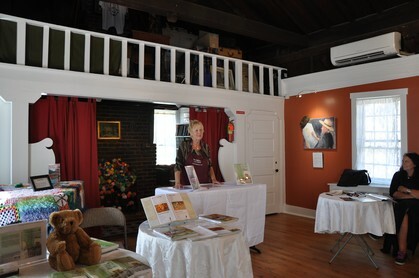 Check out her website at www.terryhauptman.com and a video you can google at Terry Hauptman Burlington City Arts. Check it out on Amazon. Connie Thornall Hope has written a new cookbook, Soups and Stews...Comfort by the Spoonful". It is available now. Please email her at conniehope@comcast.net for a copy. Cost is $20.00 and $5.00 postage totaling $25.00. She has also written her first cookbook "In Addition..to the Entree". It's about the side dishes of life. And then she has written a novel, "The Bonnie Neuk Tea Room: Friends and Uninvited Guests (Ghosts)". Check out the website at www.thebonnieneuktearoom.com where you can buy a copy. 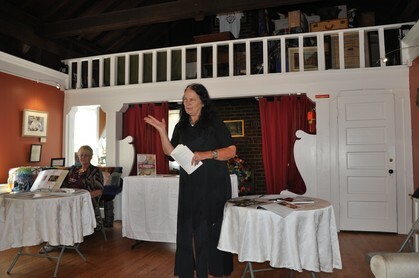 It takes place in Metuchen using her grandmother's tea room as the center idea. We wanted to let everyone know that we as the Class of 1965 have purchased a Brick for the MHS Booster Club Buy-A-Brick Campaign to support the MHS Athletic Program. 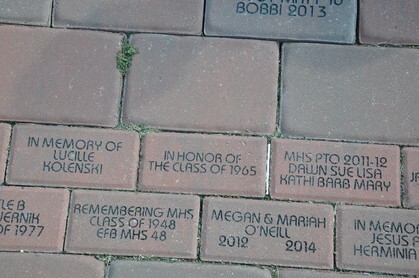 The brick paver will be displayed at the MHS Stadium in Honor of the Class of 1965. When I was at the stadium I took a photo of the brick. We've learned, laughed, and faced many challenges together. Let's not let those endearing memories or friendships fade. 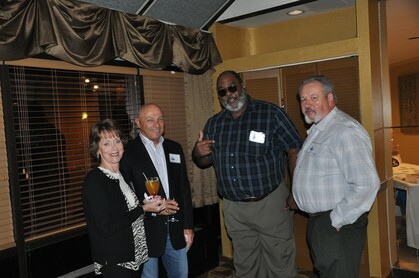 I hope all of you have rekindled old friendships and maybe found a few new ones at our 50th Reunion. Hope everyone had a great time! Some sad news. James Bitler passed away on October 21, 2015. He lived in Metuchen. "I find each day too short for all the thoughts I want to think, all the walks I want to take, all the books I want to read, and all the friends I want to see." about my hometown of Metuchen. A blind person asked St Anthony: "Can there be anything worse than losing your eye sight?" He replied: "Yes, losing your vision." If you want to order a CD from the reunion, please email me right away and send $20.00 to Connie Hope, 14517 Eagle Ridge Dr, Ft Myers, FL 33912. I should have them ready around Oct 20th or so.. If anyone would like to purchase an old yearbook (many years involved) give Bob Bisogno from Metuchen a call, he has many yearbooks. His number is 732-548-7647. 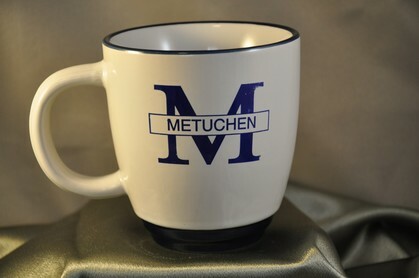 The price of the Metuchen Mug is $15.00 plus $5.00 postage, $20.00. If you are interested in purchasing one, please let me know. We have 25 left from the Reunion Weekend. 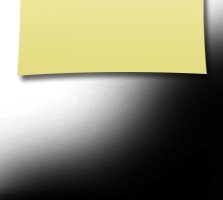 additional information about plays by the author. If you've written something and would like it listed here, let me know. YEARBOOK PICTURES..... CHECK THEM OUT! The Duchess Diner has re-opened. The phone number is 732-548-5393. I understand many of you visited the Duchess while in New Jersey for the reunion. 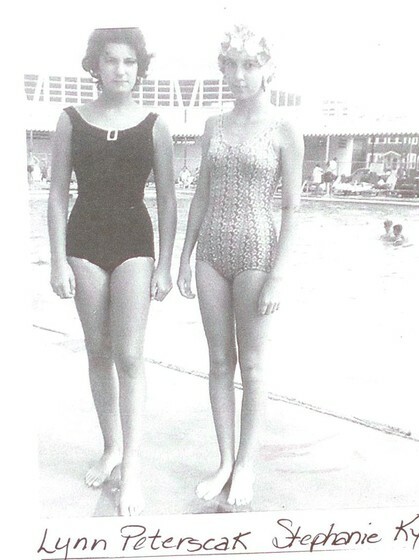 I bet that was a lot of fun. 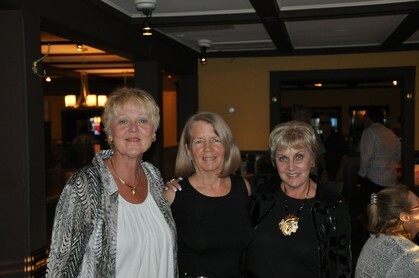 Connie Thornall Hope, Lynn MacWilliam Zakupowsky and Renee Paszkewicz Smoliga are working hard for you. Just got word from Richard Seldow that Karl Dowhie has recently passed away. 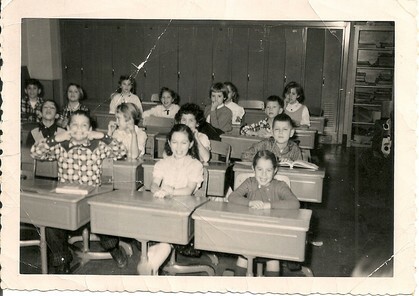 He is in the class of 1964. I don't have any details. Just wanted to let people know. If you have information that you'd like to see printed on the site. Just email Connie Hope either on the site or at conniehope@comcast.net and we'll put it on. 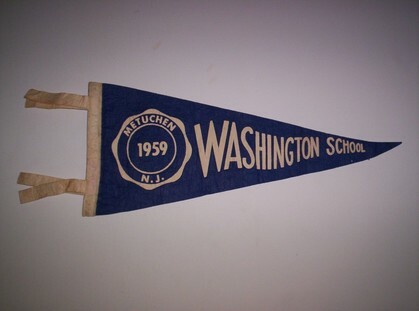 Has something happened in Metuchen that we would be interested in or someone did something special. Let me know. as the "Frenchman" and being on the football team when we were freshman at MHS. He was certainly one of a kind. He lived his life to the fullest and enjoyed himself every step along the way. Some of you have older brothers and sisters who knew him so I thought this would be the best venue to let you all know.